CAT 5/6 Cable Assembly are used for transmitting to and fro data signals from one end to other end in the Telecom networks. These are mainly used in the last mile connectivity. High performance CAT5/6 cables are used for the assemblies. Since we have established our base in this highly competitive industry, we are readily engrossed in the arena of presenting WA Series Cable Assembly. - Creating master and sub-assembly. - Defining mating condition between parts. - Creating array and mirror assembly. - Checking collision between components. Drop cable assemblies from PDR are used to transport coupler cable from splice boxes to fiber optic processing equipment. Perfect for use with aerial splice boxes this drop cable can be pre- terminated with any type of fiber optic connector. Suitable for use with cable from 2 to 12 fibers. 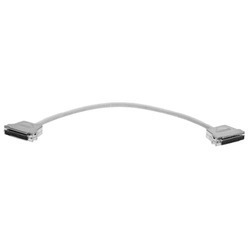 This connector fits standard CATV receiver boxes. The straight purge assembly is connected to the regulator body via an auxiliary high pressure port. The gas is vented through the body to a downstream location. - No matter how bright projector you use, without proper switcher and amplification it has got no meaning. - We use state of the art switchers from EXTRON USA. - We have simultaneously provided 15 projectors and 24 Flat panels for XBOX Launch in J W Marriot, Mumbai. High Torque Movement Assembly Chart is shown in the photo. We offer hihg quality of Cables-Parking Brake. Further to the development of Distribution Boxes for the range of MCB’s offered by TEKNIC, the necessity of Distribution Assemblies for TEKNIC’s Range of Plugs and Socket Was Felt. A wide range of distribution Assemblies and Cable Reels has Alredy been introduced to the Indian Market. - We specialise in creating assembly kits of various products as per the customer requirements. - We can create assembly kits of various products under GMP compliant manufacturing facilities complete with dehumidified and temperature controlled conditions.